Writing is a topic that most of us who work in this digital world will have to face at one time or another. For entrepreneurs and startups, being able to write well and keep up a consistent blog presence (along with a website) is an important tool to have at their disposal. If having a blog or writing consistently is new to you then this post is here to help. We’ll jump into the deep end with tips and tricks to make your transition over to “writer status” much less painful. Possibly one of the most common issues that people have with writing is “What the hell am I even going to write about”. I know I’ve felt this before, as have most people! It’s tricky when you are writing for a business, you need to keep the subject related to the product or service your selling but at the same time have a broad enough topic that people will actually want to read it! 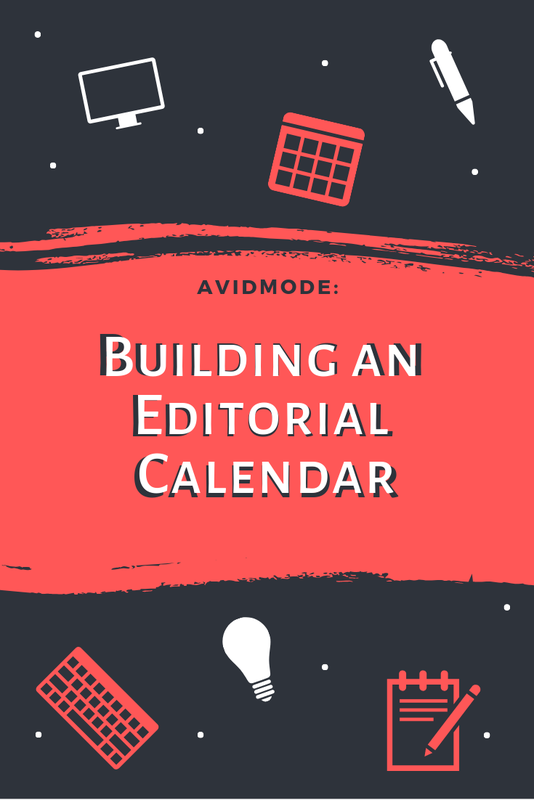 Let’s go through an example of how you might build up a basic editorial calendar for yourself. It’s is a fantastic tool that takes all the guesswork out of your weekly writing pattern. Picture this, I’m sat at the PC, it’s a Wednesday and the weekly blog post needs to be out by Friday at the very latest. Each week I would begin with an internal mindmap of all the possible options for this week’s post. Having to sit and come up with a new idea each week can be so overwhelming and the ideation process can hold back the actual writing by a lot. An editorial calendar is a way to get all the ideation out of the way weeks/months and sometimes even years beforehand. 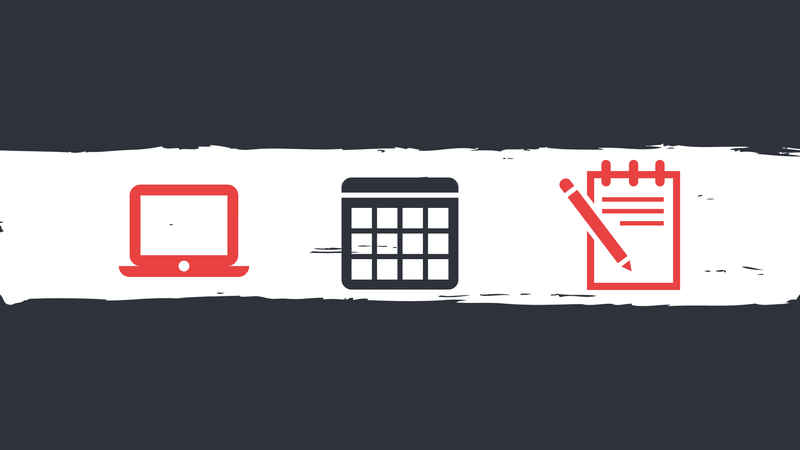 How many blog posts are you wanting to do a month? We recommend that you want to have at least one per week to keep it looking fresh and always having new content for people to read and enjoy. Which topics relate to your business? Put your thinking cap on for this one. You are writing for your audience/your customers. What do they want to read from you? What writing style fits you and your brand the best? Are people using your services or products because they want to hear about you or do you need to come at it from a more professional angle? Are there external events that have significance to your business? Think about national holidays, popular culture events and social media “national” days. Once you’ve come up with the answers to some of these, we are going to write them down and turn it into a useable calendar that you can refer back to! Open up a new spreadsheet document, pop all the months along the horizontal axis. On the vertical axis, we are going to add general topic ideas. Mary’s Flower Shop will be our example. Mary has decided to go with four topics on the vertical, so she will create blog titles and ideas for the twelve months of the year for each individual topic, this will give her 48 ideas to pick and choose from. The four extra ideas (to make it up to 52 weeks) for the rest of the year could include topical items, case studies and testimonials. Once Mary starts filling in the calendar it will look a little bit like this. The first topic will be basic information on flowers that relate to the season, lots of images. The second topic will relate to her sales goals, she wants to put the external events in there to shop off her offerings and give people ideas for gifts to buy – the dates that don’t have national holidays could include things like Birthdays, Funerals etc. For the third topic, she is going a little bit outside the sales funnel and doing some general topics that her audience will enjoy reading. She can base these off of questions that she regularly gets from her customers. Finally, after looking into her target market she sees that they are interested in gardening as one of their favourite hobbies. Therefore, she created a section specifically to connect with that part of her audience. As you can see, all the subjects are related to floristry or flowers in some way but once she finishes filling in the calendar she’ll have a whole host of broad ideas that she can use. Instead of sitting and staring at her computer screen she can now get on to writing, taking pictures and posting! This kind of calendar can be used for any business and believe me, it will save you a lot of time, stress and worry. Remember, you can always go back in and add to the calendar or change topics around as you see fit, think of it as a living document. I’ll often go off the path if I find myself getting inspiration from somewhere, in fact, this week’s Avidmode post was due to be about Funding. After reading a couple of tweets on NaNoWriMo and general writing I found myself thinking about and writing this post! Never fear going where your mind takes you but always know that you have something to fall back on should you need it! Once you have all your ideas collected, it’s time to get to the writing part. Before we leave for this week we’ve got a list to help you stick to your routine and keep that blog consistent. Have time set out for writing each week. There will probably be a time that you feel most creative, use that as your blog writing time. Use limited tools to help you write. I prefer using Google Docs to write in as I know the content will be safely stored (no chance it will end up on a dead hard drive). If you are feeling low on “writing energy” try and take your usual writing in a different direction. Add a storyline, do a bullet point listing or maybe create an infographic out of the idea. Keep in mind that the lengths of your posts can differ, you don’t need to write essays for all of them. Reading is really good for keeping your inspiration up. Take a look at a few articles a week or join in some conversations on social media. These will get the brain working and help when it comes to writing your own content! Hope you enjoyed this week’s post. If you would like a copy of the basic editorial calendar that you can fill in, click here. To edit the document go into file (the dropdown) and then make a copy. This will save it to your own google drive! Typically, what do you find the most painful part of the writing process? We’d love to hear your thoughts! Thanks to Luis Paico on Unsplash for the image.